During a recent trip to Dublin, The Professor and I decided to take a day trip to see another Irish city. It needed to be as charming, historic, and beautiful as the Irish towns in my travel dreams. I wanted colorful storefronts, pubs full of song and marvelous castles once home to Irish nobility. One name kept popping up over and over in our research: Kilkenny. 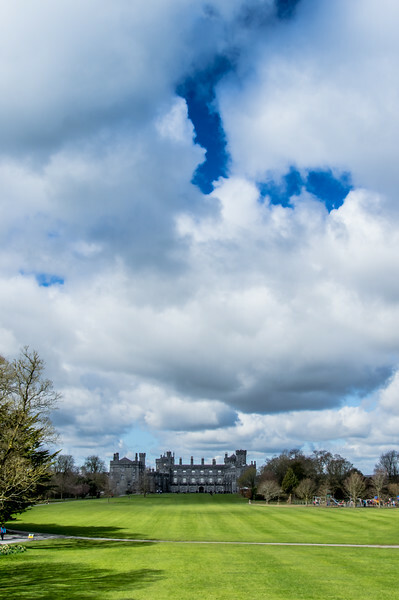 There seemed to be so many things to do in Kilkenny that met our criteria. So, we booked our train tickets and accommodations and set off the following day. 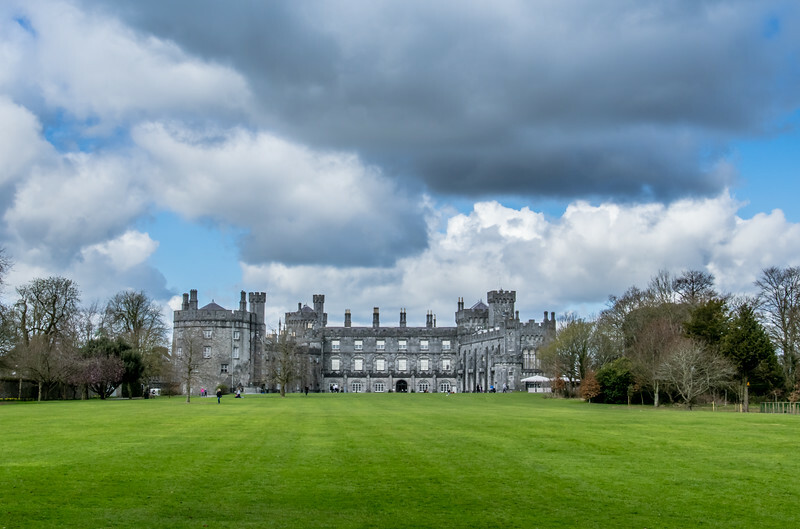 And, to be honest, discovering all the cool things to do in Kilkenny might have been my favorite part of our Ireland trip! The relatively small town of Kilkenny is located in South-east Ireland along the River Nore. Kilkenny functions as the county town, or capital if you will, of Kilkenny County. 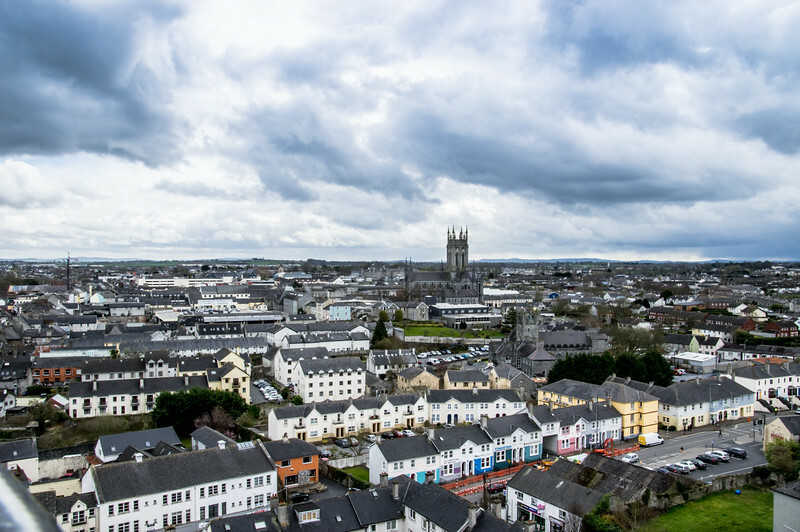 The total population of the town is roughly 9,000, a significant portion of the 25,000 total population for Kilkenny County. 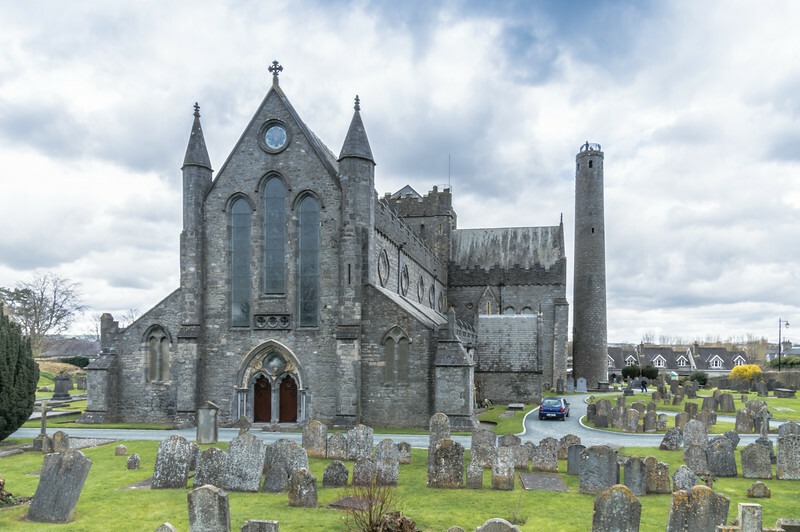 Founded in 1207, Kilkenny plays host to several ancient Irish sites including St Canice's Cathedral, Black Abbey, and Kilkenny Castle to name a few. Most of the main attractions are located along the Medieval Mile, one of the central boulevards of the town. 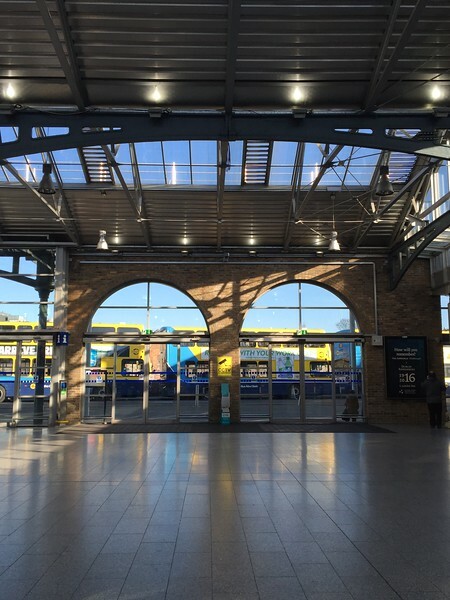 We departed from Heuston Station in Central Dublin. 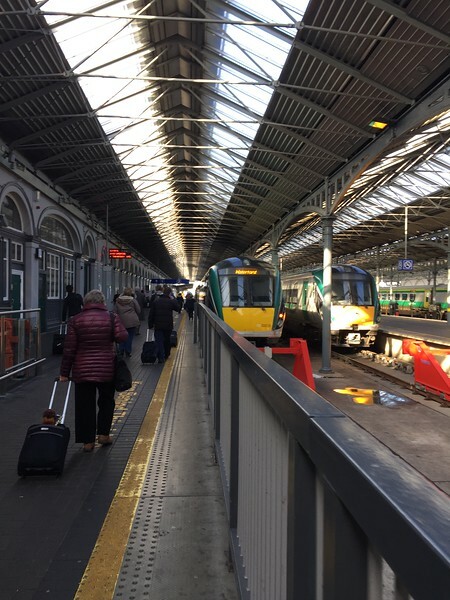 Two round-trip tickets from Dublin to Kilkenny via Irish Rail cost us €70.90, a bargain when compared to the headache and cost of renting a car in Ireland. The 1.5-hour train ride was comfortable and quick. I managed to get a lot of planning done while en route to our destination and got to see some of the stunningly beautiful Irish landscape. Riding the train is always a nice way to see the countryside. The great thing about most modern trains is that you both get a window seat! Upon arriving in Kilkenny, we took the short trek from the train station to our overnight lodging, the Pembroke Hotel. Along the way, we passed colorful storefronts that hearken back to an Ireland of old. 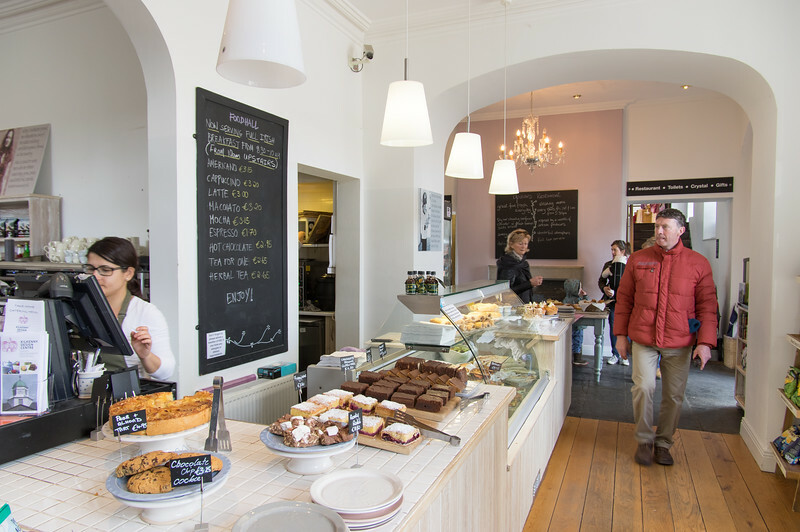 In quaint Kilkenny, butchers still serve freshly carved steaks, bakeries offer freshly baked goods daily, and pubs invite passers-by to sit a while. Wandering the streets of medieval Kilkenny was like stepping back in time, which was exactly what I'd hoped for when I booked our 24-hour adventure. After checking into our hotel and depositing our bags, we set off to find lunch. It just so happened that our dining destination was along the Medieval Mile, the main attraction in beautiful Kilkenny. We passed a few of the points of interest before arriving at Foodworks, an award-winning modern bistro specializing in farm-to-table fare. The bright, cheerful interior was inviting and encouraged conversation. We noshed on a fantastic meal paired with a crisp white wine, a perfect start to our Kilkenny adventure. My zucchini soup was full of tasty surprises and warmed me thoroughly. My grilled vegetable sandwich was divine and unlike any I've ever had before. The zesty hummus spread and the touch of cumin gave the sandwich a middle eastern flavor that I loved. 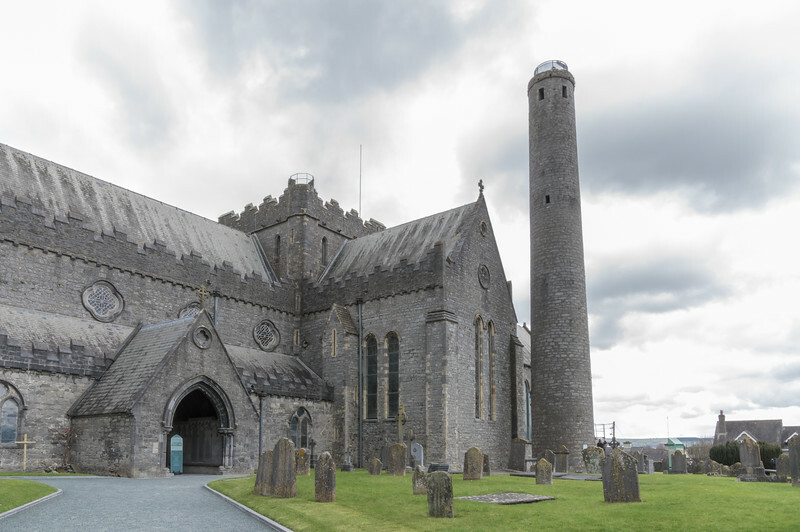 After lunch, we set off for one of the chief attractions in medieval Kilkenny, St Canice's Cathedral and Round Tower. The current cathedral was erected in the 13th century, but the site has been home to Christian worship since the 6th century! You can feel and see the history in the chapel of the cathedral, which welcomes visitors with an easy-to-follow self-guided tour of the interior. The adjacent round tower was constructed in the 9th century and can still be climbed, although I would say it's not for the faint of heart. The tight enclosure and narrow, steep stairs were a challenge but well worth it when you see the views atop the tower. Hearts pounding, we paused to catch our breath while enjoying the panoramic views of beautiful Kilkenny before braving the climb back down. We explored the grounds of the cathedral complex before setting off to our next destination. Not far from St Canice's is the path to the Black Abbey and the Black Freren Gate. 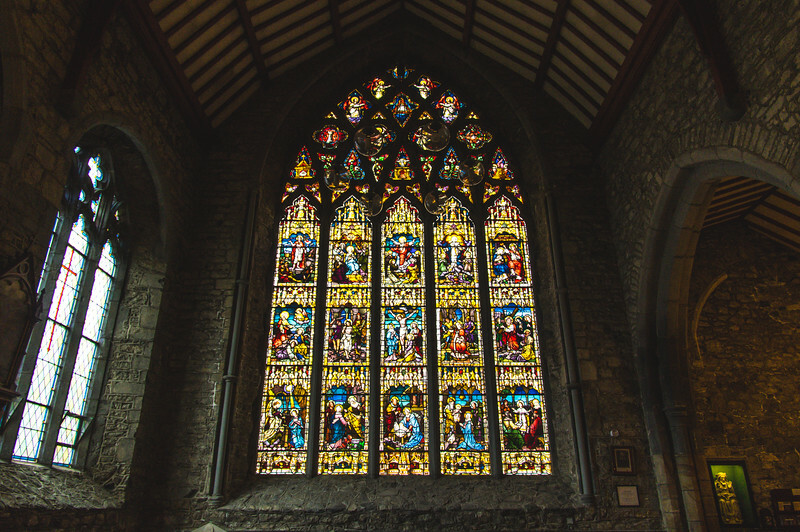 Founded in 1225, the Black Abbey is home to some spectacular stained glass windows. The dark Abbey is bathed in colorful light when the sun shines through the stunningly beautiful windows. The quiet chapel encourages visitors to take a moment to enjoy the silence and ponder who may have passed here in times past. We left the Black Abbey in search of more adventure, venturing back to the Medieval Mile where we explored shops and storefronts. After capturing a few photographs, we decided it was time for a brew. 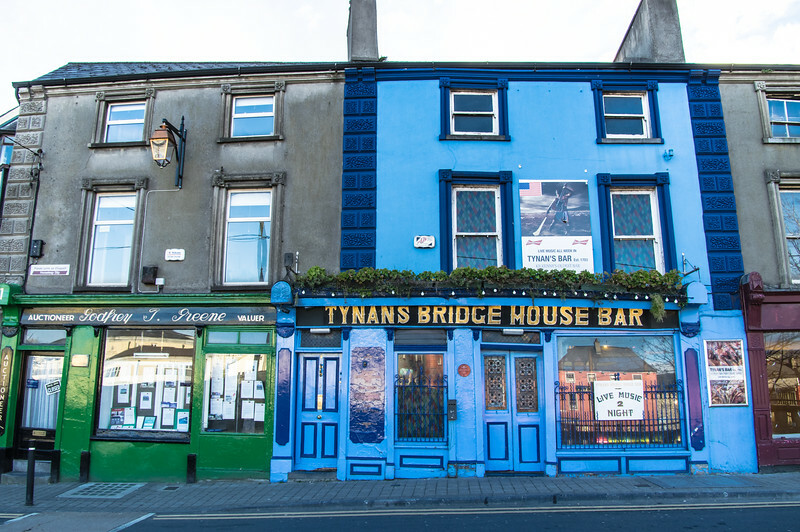 We checked out the Smithwick's Experience but opted to pass on the tour and opt for the brews in one of the best local pubs, Tynan's Bridge House Bar. So, we ambled back down the Medieval Mile past the many hotels, boutiques, and restaurants. We paused at the Butter Slip to snap a few photos of the old corridor built in 1616. The Slip was once home to the perishable food stalls in the medieval markets of Kilkenny. The cold stone walls helped keep the perishables fresh for villagers to purchase. You get a sense of the history of the city when walking through the slip. After passing a few more stores, we finally found our way to Tynan's Bridge House Bar where we settled in for a few local brews. 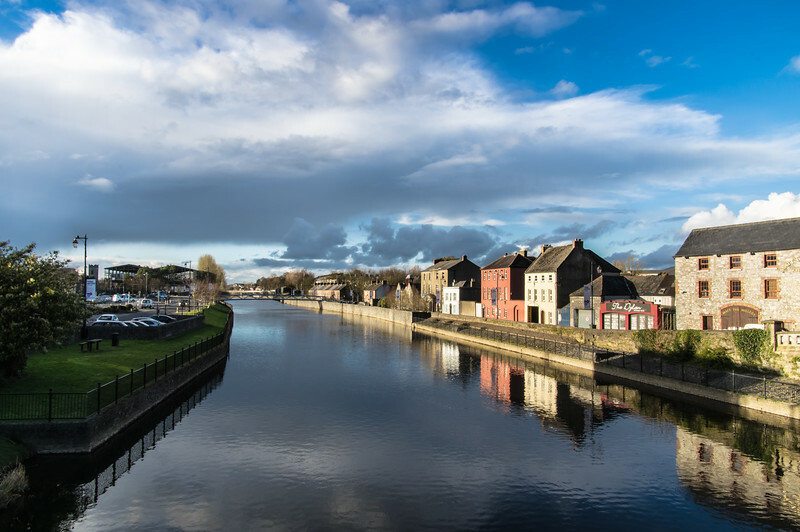 Located on the banks of the lovely Nore River, Tynan's has been hosting locals and travelers alike since 1703. The pub has the honor of being Kilkenny's oldest public house bar. Immediately after entering you realize this place has been around for a long time. The walls hold photos and plaques of visitors past, including Ireland's most famous writer, Mr. James Joyce. Bring your book and settle in for a beer and a bag of crisps. Or go for the live music on Monday, Wednesday or Thursday to get a taste of Irish culture. As you can see below, I got the Smithwick's experience without having to pay the price for the tour! With our fill of beer, we walked along the River Nore for a glimpse of the setting sun before heading back to our hotel to get ready for dinner. We dined in style at Zuni, an elegant restaurant featuring a great selection of locally-sourced meats with farm-fresh sides. We adore elegant dining experiences like the one we had at Zuni. He opted for the lamb, and I chose the steak. Each was cooked perfectly and paired with fresh veggies the likes of which I'd never tasted. Our helpful waiter helped us to select the best wine to compliment our meal. We sipped and noshed for nearly 2 hours in the cozy environment, a perfect setting for couples looking for a little romance. We woke to the sunshine pouring in the large window in our Castle View room at the Pembroke Hotel. After dressing and packing, we stuffed ourselves with their delicious traditional Irish breakfast before setting out on our day's journey. We'd purposely saved the Kilkenny Castle until Day 2 to maximize our time there. A quick walk around the corner, we arrived at our destination. After a quick stop at the registration desk and introductory video, we were wandering through history. Our 1-hour tour cost €7.00 each, money well spent if you like period-specific home decor and architecture. Situated on the banks of the Nore River, Kilkenny Castle is an excellent example of the grandeur of Irish nobility. Constructed in the 12th century by Strongbow, the 2nd Earl of Pembroke, the original structure is believed to be wooden. The location of Kilkenny Castle provided great access to the river and various trade routes necessary to control the area. His descendant, William Marshal, 4th Earl of Pembroke, would later build a more modern stone structure that would eventually become the structure seen today. 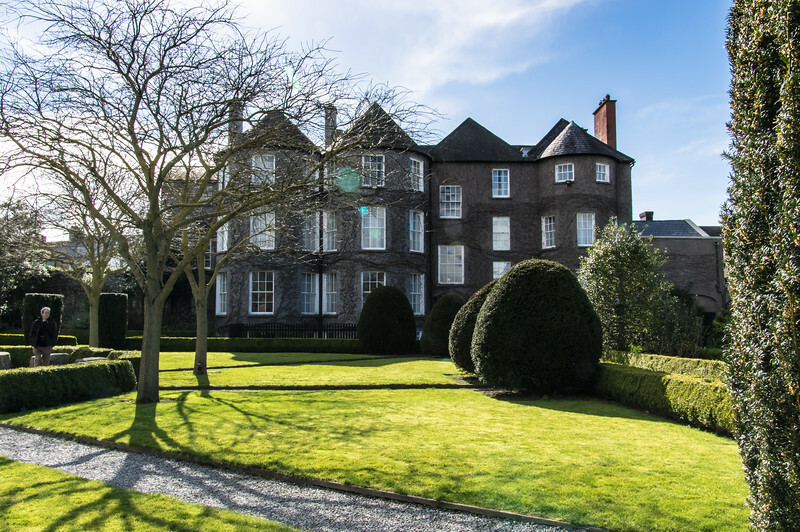 The grand home eventually became the primary residence of Ireland's powerful Butler family of the Ormonde peerage. The dukes, duchesses and earls of Ormonde would reside in the castle for over 500 years until the castle was sold by the family to the Irish Office of Public Works in 1969 for €50. The Castle's interior is carefully preserved in 19th century fashion, decorated with original tapestries, art work and furniture belonging to the Butler family. Photography was discouraged inside the structure but we managed to sneak a few to give you a feel for the grandeur of the home. Being in Kilkenny Castle was like stepping into an episode of Downton Abbey. I always enjoy touring period homes no matter the era, but Victorian Era homes are always a special treat. After our tour of the Castle's interior, we enjoyed a leisurely stroll through the Castle Park in search of the perfect photo. You can almost imagine yourself walking along the riverbank with petticoats and parasols. The grounds are expansive and offer plenty of options for walkers, joggers and kids at play. There's even an outdoor cafe for those who fancy a cup of tea and toast. After snapping some amazing shots, we decided it was time to move on in search of lunch and a few souvenirs. 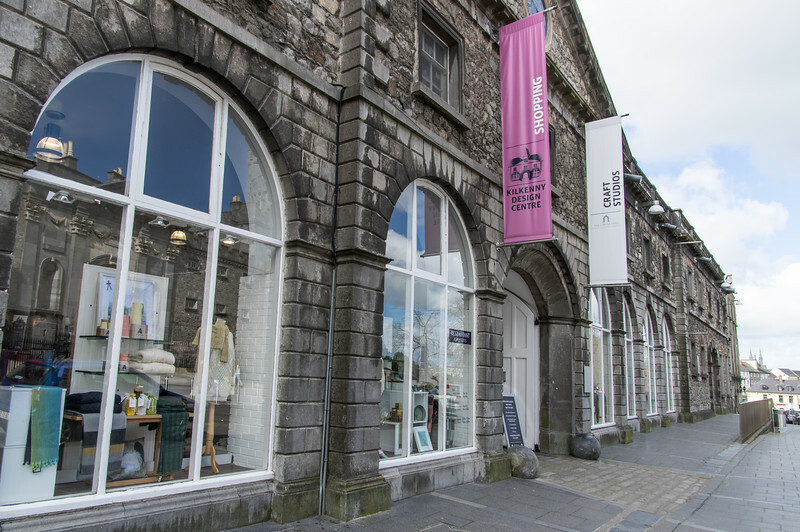 We crossed the street to the Kilkenny Art & Design Centre to enjoy a bit of artisanal shopping and dining. I was in search of the perfect Irish wool yarn to bring home to my dear friend who'd requested a sample. We explored the gallery space and enjoyed a stunning haute couture jewelry show on display which featured designs by up and coming Irish designers. We'd hoped to be able to try Anocht, the Art & Design Centre's award-winning fine dining restaurant, the night before, but sadly the restaurant wasn't open that night or the next day for lunch. So we opted to try the Art & Design Centre's Foodhall instead. Served cafeteria style in a cooperative atmosphere, the Foodhall fare was spectacularly good. Our toasties (a delicious pressed sandwich made with fresh Irish bread, ham, and cheese) were scrumptious, served with a side of delicious Moroccan-inspired couscous salad with fresh greens. 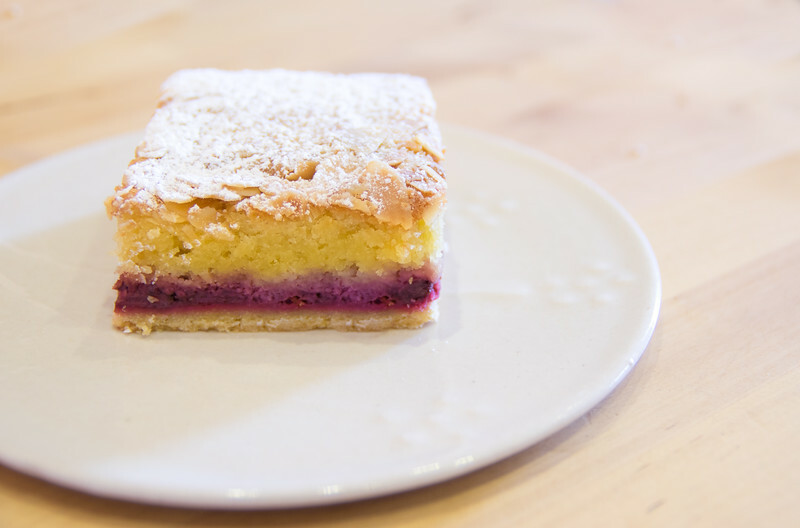 Despite our full bellies we decided to splurge and shared a raspberry frangipane, an amazing fruit-filled tart with a perfectly crumbly crust. Our last stop was the beautiful gardens of the Butler House, a historic Georgian home now used for lodgings. Although we opted for modern accommodations at the Pembroke, I could see why a history lover would want to spend a night at the Butler House. A room overlooking the lovely gardens would be the perfect place to sip a cup of tea and relax. We enjoyed touring the garden, which is free and open to the public. It was lovely to see some of the flowers blooming on what had turned out to be a spectacularly sunny day, something rare in Ireland. By the time we were done touring the garden, it was time to head back to the hotel to pick up our bags in time to catch our train back to Dublin. We said goodbye to the staff of the Pembroke when collecting our luggage and set off on foot back to the train station to catch our ride back to Dublin. 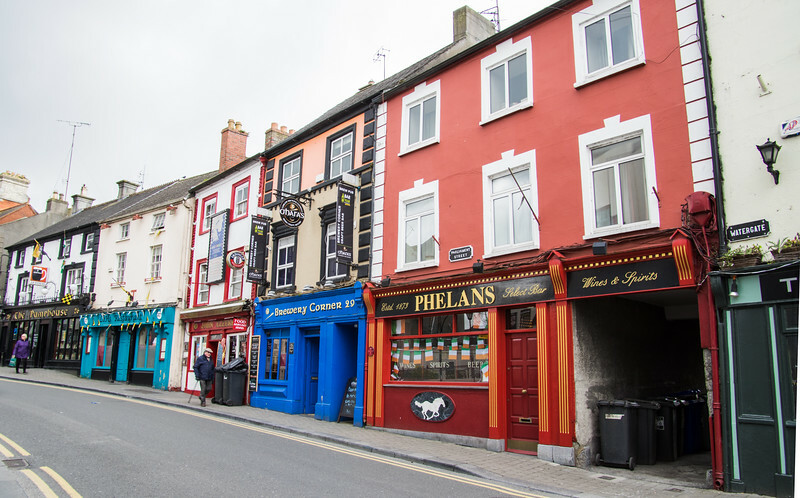 We walked past the same colorful storefronts, across the beautiful River Nore and alongside other travelers setting off for their next destination. It was nice to be one of them, if only for a short time. On the train ride back to Dublin I realized we hadn't even scratched the surface of things to do in Kilkenny. We did accomplish our primary travel goal of seeing a beautifully preserved medieval Irish town with amazing ancient Irish attractions. If ever I get the chance, you can bet I'll be returning to Kilkenny to finish my things to do in Kilkenny list! 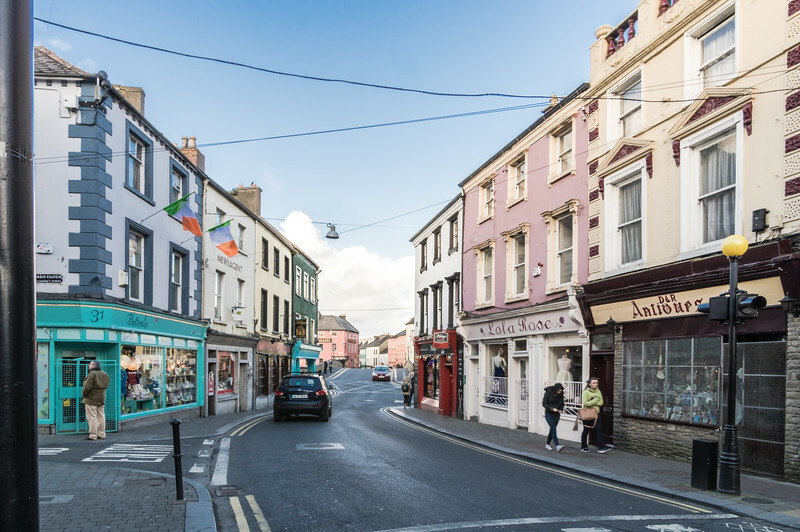 For a complete list of things to do in this lovely town, please check out the Visit Kilkenny homepage where you can plan your Kilkenny trip and download a printable version of the Medieval Mile map. Thanks for all your support. It means the world to me. Until next time my friends.